Knowing the distance from the dealership will help Shuttle Coordinators to plan for the trips ahead. Usually, dealerships have set a distance limit of 5, 10 or even 15-mile radius to how far the shuttle service can go. 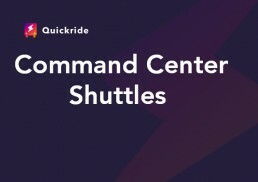 Quickride has upgraded the Command Center to reflect how far the customer wants to go. 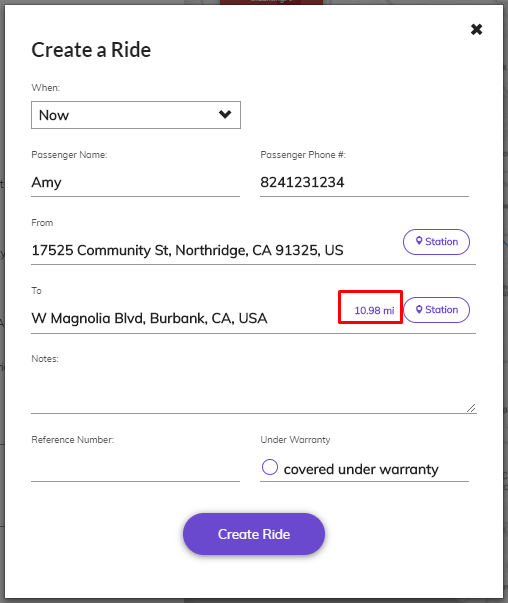 Once the address typed in the Create a Ride form, distance gets shown before it gets submitted. Once the request gets submitted, the distance will no longer be visible. As a best practice, you can add the range in the note section when the ride is getting created. The benefit of seeing the distance is you can expect when your shuttle will be back. When a ride request has gets created, this will show up on the Shuttle Driver’s queue. The system will automatically assign the ride to the available Driver based on Quickride’s algorithm. If the ride request is beyond the approved radius by your dealership cancel the ride request. You will get a pop-up stating that the ride request is outside your dealership’s. 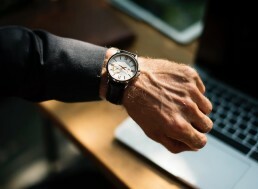 If the customer insists on the address, ask permission from your Manager. On the Command Center screen, it will no longer contain the distances. However, the Drivers will still see them in the Driver app.